It is nice to see Dragon doing these one off and paper project tanks. For too long small scale armor fans have had to rely on resin kits for these sorts of things. 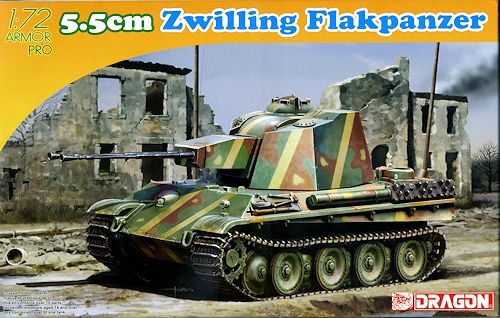 This oe is a particularly neat looking flakpanzer with its angular turret and twin 55mm guns. The kit is basically your standard Panther chassis and hull with a newly molded turret and guns. 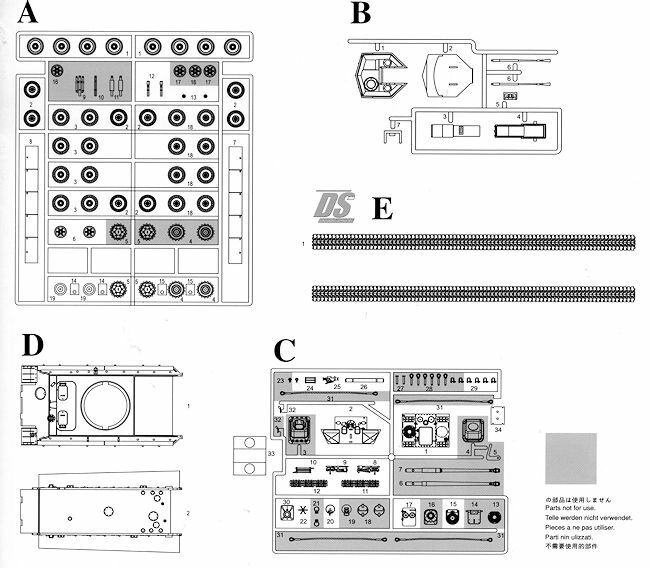 At 75 parts, it is not all that parts intensive, but still offers enough detail to satisfy most modelers. Like many of their 1/72 kits, this one has the very nice DS track set. There is also no p.e. for those who do not like dealing with the brass bits. 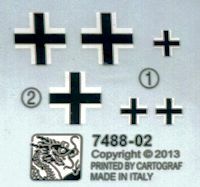 The kit comes with a set of generic insignias and a painting guide for two different vehicles. One is the interesting design with the broad tan stripes shown on the box art and the other is a pretty standard late war 'ambush' scheme. In all it will make into a very neat looking vehicle and one that will fit right in with your WWII armor collection.